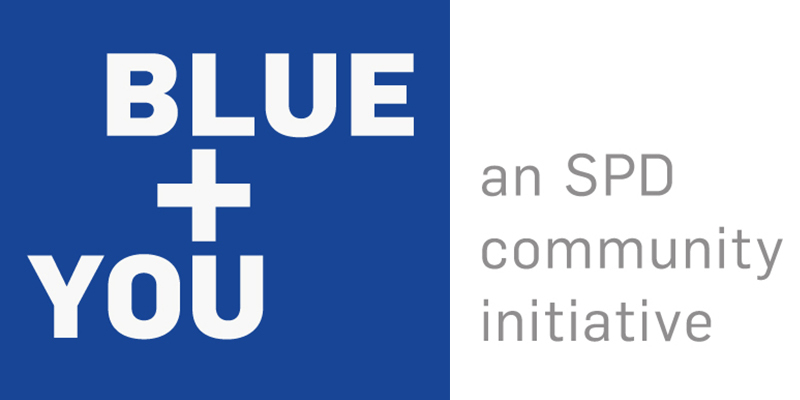 BLUE + YOU is a Sarasota Police Department (SPD) community initiative. Ringling College was approach by SPD to "re-brand" their image to the public. As part of a collaborative group under Bernard Canniffe, a group of nine students (graphic designers, advertisers, copywriters, and project manager) collaborated with SPD over the course of a semester. Instead of just re-branding SPD, we found that they needed a branded system for their community outreach to the public, bridging the gap between the police officer and citizens. My main roles included ideating, logo creation and design, and website design. 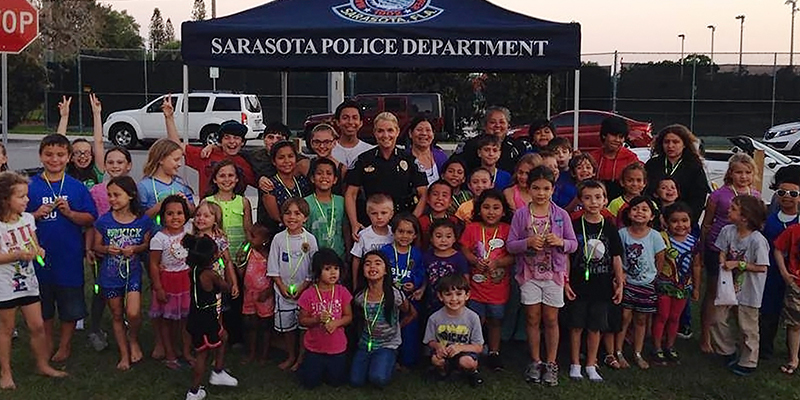 When SPD approached Ringling College, they knew they had to change something. 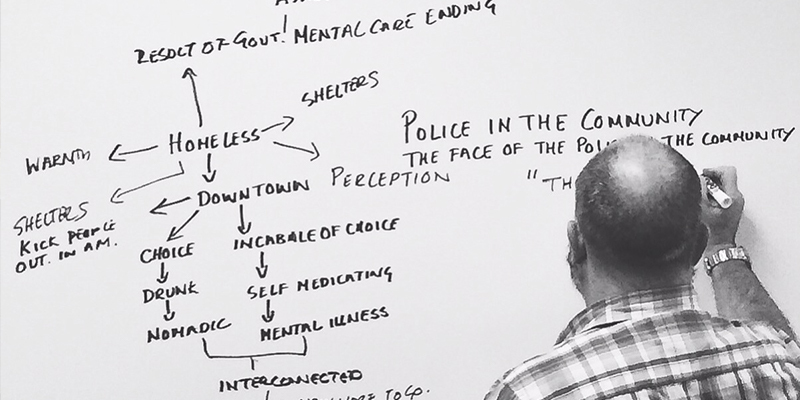 By taking the time to learn as much as we could about SPD through interviews and SPD presentation, we gained a true sense of what they were lacking. We discovered that the SPD lacked a way to reach out to the community at times when they are not needed as well as the common misconception of police by the citizens. Instead of "re-branding" them, we branded a community initiate that can be custom to what they need now and in the future. 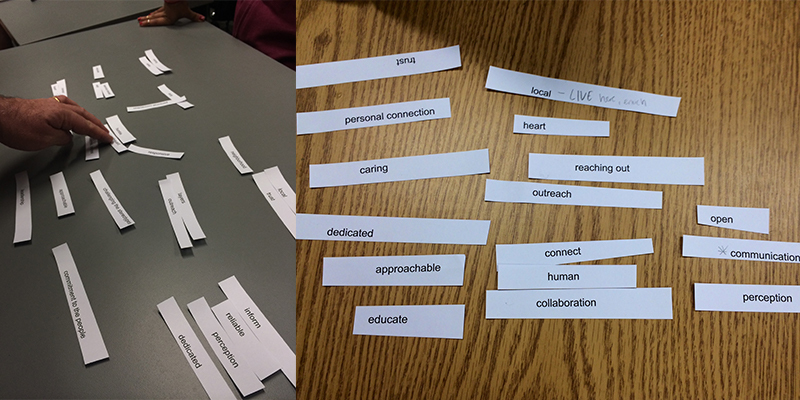 Pairing words to discover new meanings. Our work culminated in launching SPD's BLUE + YOU movie night for the community to come out and enjoy the weather with an outdoor movie night. 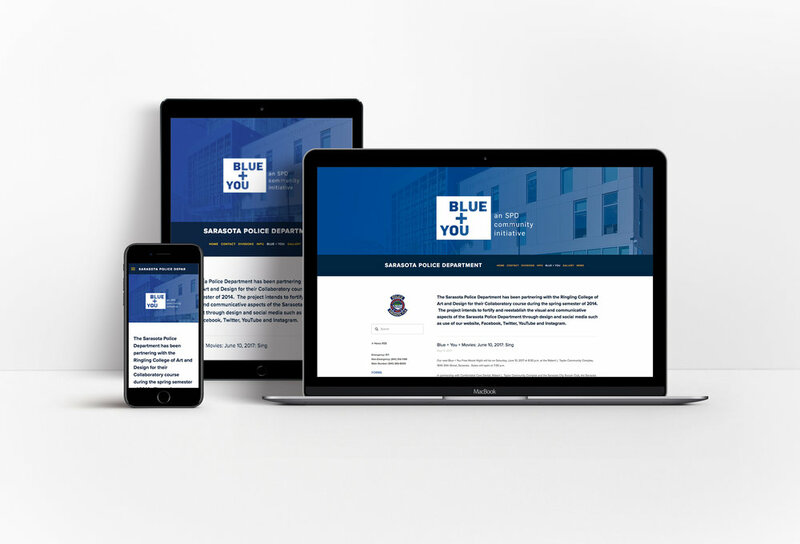 We created a new website for the Sarasota Police Department in order to update the look and feel, increase discoverability of important information, and to provide make it responsive for users on any device. 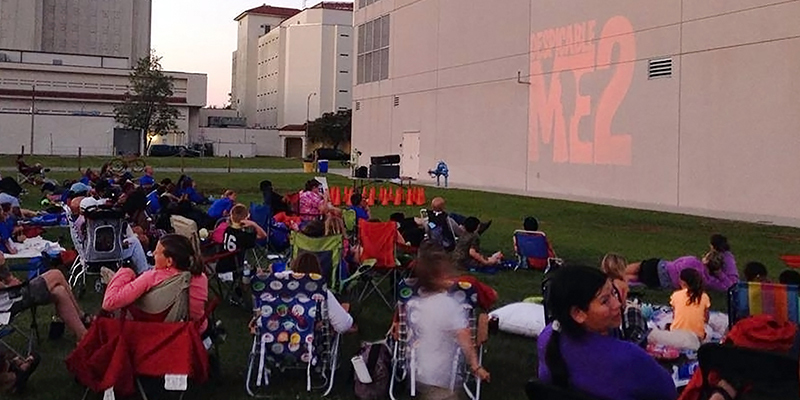 SPD continues to host movies nights for the community. Read their blog here.